31 Days of Greening | Thoughts of a Calabarboy. 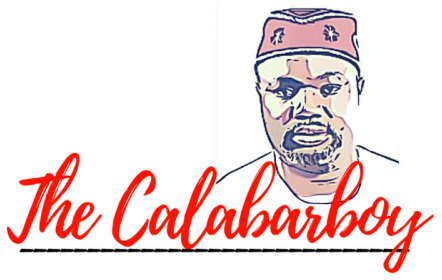 31 Days of Greening – Thoughts of a Calabarboy. This is pretty exciting for me because 31 days ago I started being very conscious of what I eat and resorted to being not just environmentally friendly, but also bodily friendly. Now a month later, my body is celebrating the new ventilation it is enjoying. My body has never felt this good in a very long while, and even my mind has become very responsive to the lease of new life which invigorates my physical existence. Now I know first hand that going green is going great!! I have enjoyed a cocktail of fruits in the mornings, heavy vegetables in the afternoons along with a light mix of carbs and veggies at night, not forgetting the heavy dose of fruit juice also. I am indeed a new man. I must confess however that my wife’s love for chicken did rub off a bit as I permitted her to shred some birds into my bastion of leaves. I feel new, not a single bodily discomfort was felt through out this period, I slept less and had a burst of energy surging through me the whole day. However, the first few days was dastardly punishing. Walking past those steaming burgers, which all seem to suddenly have a seductive voice calling “Oh!! Reggie!! Come over here!!”. At some point I almost walked through the glass barricade of a fast food place to fall into the arms of a chic looking marinaded chicken with oil dripping over it like tears of penitence. But I was determined to see what I would be like in 30 days. Now I have lost approximately 5 pounds, although my cheeks still refuse to give up its boisterous protuberances, making me still look round on the upper torso. Walking four mile every Saturday morning keeps my weekend boiling with amazing oomph and excited to my very core. I have indeed become an apostle of the green revolution. Please note that I have had absolutely no losses but all gains. How I wish all men will settle for a higher living such as this. I felt I should report to all them that were dissuading me from following this course that I am still standing strong and getting stronger. I will continue in this path, for it is one that guarantees a living that is purposeful and objective oriented. But for the mean time to celebrate my success, can I please have a bowl of goat meat peppersoup with shredded beef stew with rice in wine base!!! read extra of your useful info. Thank you for the post. I’ll definitely comeback.